Can you believe it’s already almost 2017? Where did 2016 go? As you look back on 2016, how do you feel? Were you able to accomplish some of your New Year’s Resolutions? Do you even remember what they were? Or did you decide not to even make New Year’s Resolutions because you didn’t want to be disappointed in yourself when you didn’t follow through? It’s hard not to feel jaded when we approach January with energy and enthusiasm but can’t carry that through the year–or even the month. Well, you don’t need to feel bad about yourself any more, because THIS year is the year you get it done! I’m not saying you have to accomplish ALL of your New Year’s Resolutions, but you can FOR SURE accomplish at least a few of them, and I have the PERFECT thing to help you do just that. It is the New Year, New You Bundle, and it is amazing. Want to finally become healthy? We’ve totally got you covered. Want to declutter and organize your closet once and for all? Yep, you learn how to do that, too. Need a way to keep your life organized? Check out these great calendars, trackers, and planners. How about improving your family relationships? Who would say no to that? Take a look at all the incredible programs, e-books, printables and planners in this bundle! Each creator has given you a description of their product to help you know just how much your life can be changed by simply purchasing this bundle. (By the way, the dollar amount next to each program is how much it would cost if you were to buy it outside of this bundle. The super low price of the bundle will be revealed at the end of the descriptions). Have all your efforts to get in shape failed in the past? Have you tried every “diet” out there but not seen it through? Everything is about to change for you as you go through my simple 28 day challenge. At the end of 4 weeks, you’ll see just how easy eating healthy can be, you’ll have kicked that sugar habit, feel amazing with tons of energy, and have a healthier body you love. Let’s face it. Protein powder all by itself is BORING! For that very the reason, I created 52 Amazing Fat Burning Shakes! All 52 shake recipes are delicious and you will feel like you are drinking dessert, but without an ounce of guilt!! As a special add-on bonus, you’ll get an additional 10 Guiltless Dessert Recipes – To help you stay on track and crush those weight loss goals in 2017! Stop letting food rule your life! This course was created for people who are ready to stop dieting for good. It focuses on eating clean, whole foods, without any hard and fast rules. The download includes 4 weeks of clean eating meal plans and recipes to get you started! Over 210 pages that include weekly workout trackers, progress trackers, goals and victories worksheets, food log, and meal planner! All you need to make 2017 the year you stick to those resolutions! Keep track of all those great new health habits you are implementing. Make menu plans, grocery lists, and see how much progress you make as you exercise and eat your way to a healthy lifestyle. Mom, have you lost your smile? Are your kids driving you crazy? Do you feel like you’re being pulled in every direction? Being a mom is amazing. It’s the best job in the world. But it’s also the most draining job in the world. At some point in our life, it’s natural to lose our happiness and struggle to find contentment. This encouraging book will help you discover that happiness is an inner choice, and with a bit of work, it can become a habit. Are you sick and tired of arguing and yelling at home, but can’t seem to figure out another way to get people to listen? You’re not alone and it’s time to enjoy parenting again! You will create more connection and strengthen relationships as you learn how to avoid power struggles, step out of arguments, and set boundaries you can actually enforce. Setting creative goals and working toward them is the only way to improve in a creative field, whether you want to write that novel you’ve been thinking about, create more paintings or finally learn how to crochet. My unique goal-setting guide will help you develop a creative goal that is exciting and achievable. You’ll get advice on how to actually do the work to get your goal accomplished, even when you’re finding it hard to make progress. Scheduling is so much more fun when you can do it on something beautiful. Just print this gorgeous calendar with water color flowers and start your day looking at the beautiful plans for your life. Do you have stacks of your kids’ school papers and artwork piling up everywhere, but you have no idea what to do with them? Keep your kids’ precious artwork and school work (from toddler to 12th grade) organized (no more crazy piles) and preserved for years to come (in one central place) with My Memory Box! This 26-page digital download allows you to create an easily organized, central location for ALL your children’s artwork. Create a customized keepsake for your child’s entire school experience, plus record fun facts about each year such as a child’s favorite activities—there’s even a place for your child to write their signature each year! Stop the endless cycle of frustration and fatigue caused by your messy closet! Follow my easy 21-day program to get a wardrobe you LOVE without spending a dime. Everything will be neat and organized, and STAY that way. A simple change in mind-set and easy-to-follow guidelines for folding and storing your clothes will make all the difference in the world! These e-books teach you everything you need to know about using your DSLR camera. Learn all the secrets to getting professional-quality pictures of your family. Improving your photography this year is fun, easily achievable, and will capture those precious, irreplaceable family memories. Looking for ways to get perfect, clear, glowing skin without spending a lot of money? 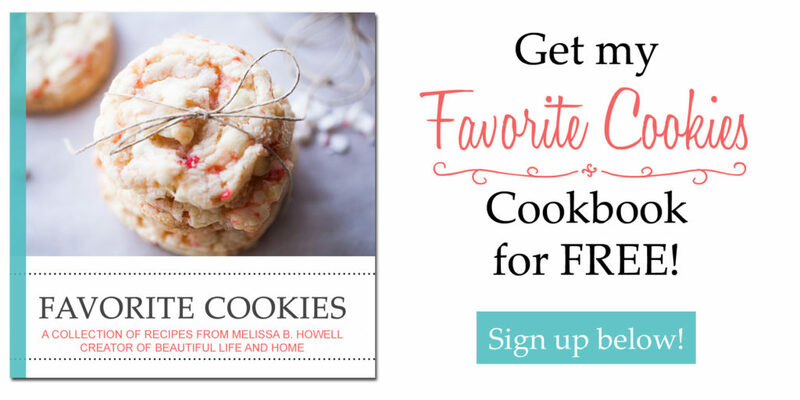 This e-book is a great roundup of easy, simple recipes. No need for expensive or hard-to-find ingredients. Each recipe in Natural Beauty teaches you to mix up your own beauty products, without any of the hazardous chemicals you’d find in store-bought brands. Whether you have sensitive skin or just want to switch to a natural beauty routine, these step-by-step instructions will show you how to use oils, herbs, and other natural ingredients to make amazing, effective organic skincare recipes. One size does not fit all. This is a professional, in-depth skin care routine customized JUST FOR YOU! Every client begins with an in-depth analysis to determine exactly what their skin needs. You’ll then receive a six-month plan including products and treatments. Because we (as makeup artists and aestheticians) are not tied to specific brands or products, you can trust that we will give you the best, un-biased product recommendations for every budget. Finally, you can unlock your OWN perfect skin! Did you see all the awesomeness in these 14 products? There is something here for EVERYONE to love. Did you also add up the value of all these courses, e-books, and planners? It comes to over $385. Wow! That may have been more than you were planning on spending for tools to accomplish your New Year’s goals. But guess what? You don’t have to spend $385. You can get this bundle for only $27! Yes, you read that right. Only $27 for 14 incredible resources that will make 2017 your best year yet! But it will only be $27 for the next three days (December 28th through 30th, 2016). After that, the price will go up. AND, this bundle will only be available through January 2nd, 2017! (Just FYI. The price is going to increase again between now and January 2nd). So don’t wait! Go ahead and purchase this bundle NOW and make 2017 your best year yet!